Hi there! 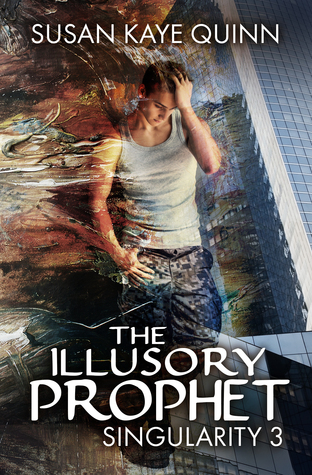 Today I’m sharing a review for a fantastic YA magical suspense adventure from Jennifer Estep. 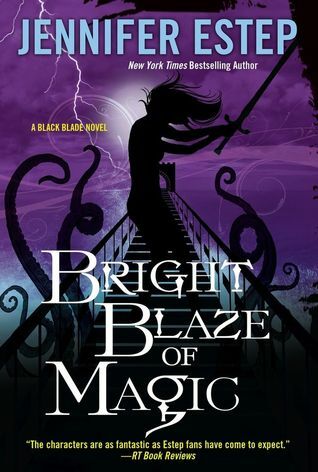 BRIGHT BLAZE OF MAGIC is the third book in the Black Blades series. You’ll remember that I loved DARK HEART OF MAGIC and it’s the same for this one. This is the third book in a series, and I’d encourage readers to read the previous books for best enjoyment. Lila Sterling is an orphaned teen in a magical world. She’s got plenty of magic herself, including the ability to sense magical power and transfer power used against her into magic she can use for herself. These are rare Talents, and she could find herself fighting for her life if power-hungry demagogues, like Victor Draconi, could get his lethal hands upon her. See, Victor has already killed Lila’s father and mother, and he’s the brutal leader of one of the four Families (think magic mafia) that control the power and commerce in Cloudburst Fall, NC. Lila is employed by the Sinclair family as a bodyguard to Devon Sinclair, a beefy Bruiser, only son to Claudia Sinclair, head of the Family. Lila’s mother had worked for the Sinclairs many years ago, and Lila feels safe in their world–except she’d discovered a cache of magic infused weapons that had been collected by Victor. These mark the capstone in Victor’s plan to kill the other Families and seize all power in Cloudburst Falls, so Lila, Devon and Felix steal the majority of the weapons–with the help of Deah, Victor’s daughter (and Lila’s cousin)–and replace them with fakes. It’s not long before all-out war is declared. It’s a bloody business and many lives are lost. It sould have been a massacre if Victor’s minions had the magic-infused weapons, however. Lila has the ability to end the siege, and bargain for the release of captives, using the very blades she stole from Victor. Oh, and win also a magic duel to end all battles. I love the tension in this book. So many life-or-death moments, and increasing suspense. It’s a tough road for Lila, who wants to kill Victor, but needs to use her head, and plan the perfect revenge. When the time comes, she’s still a girl, one fighting for her life–and those all whom she loves. She and Devon are a couple in the book series, and they have appropriate levels of affection, which are wholly clean. Expect Lila to be hurt, downtrodden, and nearly out of the game altogether, but to persevere against all expectations. The magical elements of this world are truly charming, with unique fauna that have deadly abilities. Who knew I’d love me some Lochness monster? Yes, even a tentacled beast of the deep had me going Aww! Interested? You can find BRIGHT BLAZE OF MAGIC on Goodreads, Amazon, Barnes & Noble and libraries/bookstores everywhere. 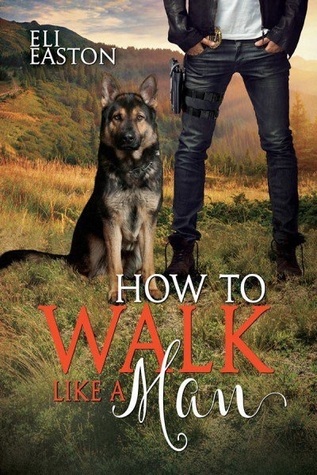 I received a review copy via NetGalley. 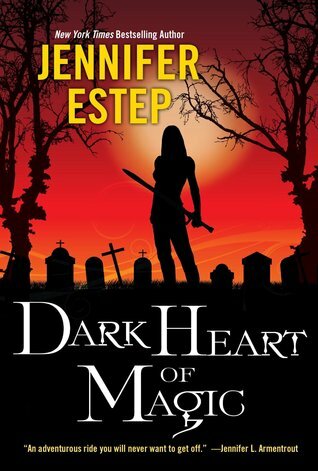 Jennifer Estep is the New York Times bestselling author of the Elemental Assassin urban fantasy series; the Black Blade young adult urban fantasy; the Mythos Academy young adult urban fantasy series; and the Bigtime paranormal romance series. Her books are available in print, audio, and e-book formats from a variety of retailers, including the following: Amazon / Barnes & Noble / Books-A-Million / iTunes / Kobo / Audible / Brilliance Audio. You can catch up to Jennifer on her website, Facebook and twitter. Hi there! 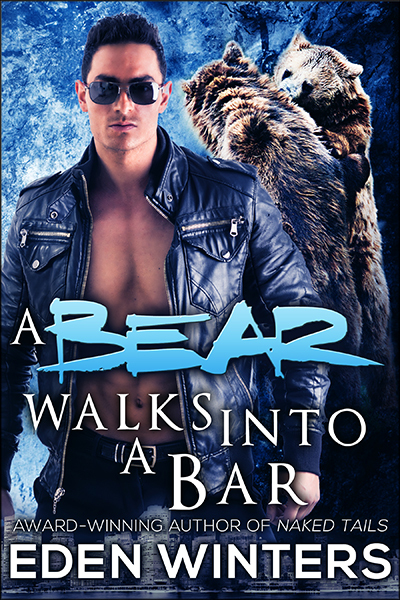 Today I’m sharing a paranormal YA adventure/romance from Jennifer Estep. The DARK HEART OF MAGIC is a book I really enjoyed. It’s got a cool fantasy story with neat world-building, and a realistic revenge plot. 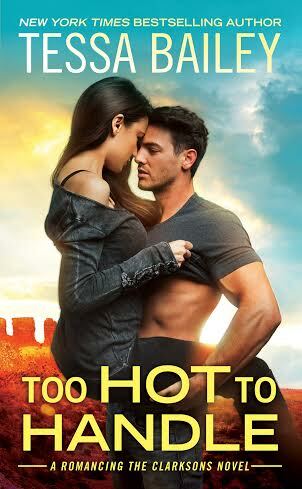 This is the second book in a series, but I read it out of order and had no problems with the storyline. This book is set in the fantastical realm of Cloudburst Falls, West Virginia in a contemporary time period with the addition of magic, mobs and mayhem. Okay, so really it’s only magic that’s a game changer. In this bookscape, there are people who possess magical Talents, like super speed, strengths, divination etc. There are also magical creatures–which are highly concentrated in the mountainous area of Clouburst Falls, or so says the tourism board. Still, lochnesses, tree trolls and copper crushers are part of the fauna, and one must know how to deal with these creatures in order to get on. Lila Merriweather is not who she claims to be, and there are few who know the secret of her identity. She was born Lila Sterling, child of Serena Sterling, a powerful woman who fled Cloudburst Falls after Lila’s father was murdered by his benefactor, Victor Draconi–head of the Draconi Family and the same dude who later murdered Serena, stealing her magical Talents. Lila wants to avenge her parents, but she’s only 17 and still honing her magic, plus she knows it would be a suicide mission to take out the head of the most powerful Family in Cloudburst Falls. Instead, she’s the personal bodyguard of Devon Sinclair–son of Claudia Sinclair and second-in-command of the Sinclair Family. Lila recently saved Devon from certain death and is just getting used to her new position in the Family, as she’s been living on her own and stealing for a living since her mother’s murder four years ago. Also, she’s totally gaga for Devon, and he for her, but she holds off on making anything physical because she has lost too many people close to her to let Devon get in close. This book is the set-up before the major clash between the Sinclair and Draconi families. We learn, intimately, just how underhanded the Draconis can be–and how ruthless some of these people in this world are. The set-up is a tournament, which is meant to showcase all the Talents of the Families to themselves and the tourists. It’s a major attraction and has been won by Deah Draconi for the past two years. Deah’s not the biggest or strongest, but her mimic magic is a distinct edge. Devon and Lila are part of the competition this year, as is Katia Volkov–an outsider who comes down from New York to compete. She lost to Deah the past two years and is angling to win it all. I really liked the bit of mystery that was woven into the story. Lila and Devon notice that the magical monsters are moving around, coming out from their normal habitats into areas that are more highly populated. This seems to be a defensive move because they also find many carcasses strewn about the woods, with suspicious markings and clearly malicious stab wounds. I had the culprit and motive pinpointed early on, but that didn’t mean I wasn’t happy with the reveal. Also, it made for some good suspense. Lila has a lot to learn about the Family life, but she embraces the affection and support given so freely by the Sinclairs. Her mother and Claudia had been best friends in their girlhood, and Claudia is happy to have Lila with her. Of course, there are lots of secrets about Lila’s mother, and who best to relate them than Serena’s sister–not that Lila knew she had an aunt. Or a cousin, one who is poised to become her enemy and her ally. That twist was really excellent, and also sets up the next book stunningly. Lila is a dark horse to win the tournament, but she performs exceedingly well, and it’s hers to lose. I won’t reveal any of that, but the depth of empathy Lila exhibits in the course of competition made her truly likable as a character. I liked that the love story between Lila and Devon is a side issue, one that Lila continues to set to the side, because her duty lies elsewhere. She has the right mindset, and I was glad that she behaved like a woman with a brain, and also a heart. I’m looking forward the next book. Interested? You can find DARK HEART OF MAGIC on Goodreads, Amazon and Barnes & Noble–and probably your local library, too. 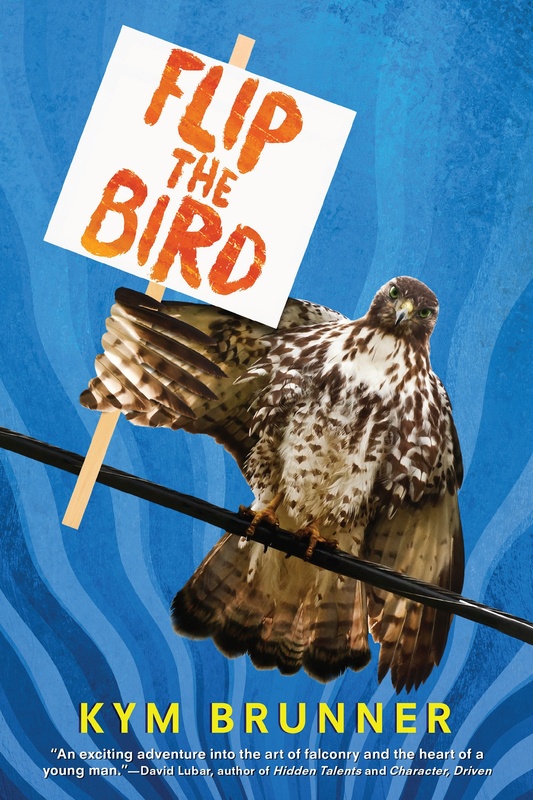 I received a review copy of this book via NetGalley. Jennifer writes the Elemental Assassin adult urban fantasy series for Pocket. Books in the series are SPIDER’S BITE, WEB OF LIES, VENOM, TANGLED THREADS, SPIDER’S REVENGE, BY A THREAD, and WIDOW’S WEB. THREAD OF DEATH, an e-novella, is also available. Excerpts, free short stories, and more information on Jennifer’s books can be found on her website. Catch her also on Facebook and twitter.